The Ted Constant Center in Norfolk was the home for the 24th edition of the Spartyka Fight League. The night showcased 18 amateur MMA fights, including three amateur MMA title fights and one amateur Kickboxing match with the stipulation of the winner coming back to fight in the same arena when Glory Kickboxing comes back to the state on July 22nd. In one of the early fights of the night, Charlottesville BJJ’s Jacob Ashley came out with a victory on his first time back to action in almost two years against Juvaunne Gordon. The only thing more impressive than Ashley’s attacking submission style was Gordon’s ability to endure and not tap to the repeated triangle and arm bar attempts Ashley put him through the whole fight. After three rounds of near submissions Ashley was awarded a unanimous decision win. MMA Institute’s David Gladfelter won his fight against Ryland O’Brien in one of the night’s most bizarre exchanges. O’Brien’s heavy wrestling offense arguably won him the first round. The second round also saw O’Brien controlling most of the action. Towards the end of the second round though, O’brien seemed to have jumped on Gladfelter’s back while both were standing and Gladfelter shook him off. O’Brien seemed to have knocked himself out when he landed on the mat and Gladfelter quickly jumped to deliver a couple of ground and pound strikes before referee Todd McGovern stepped in. Kaeon Minor, younger brother of standout amateur fighter Damon Minor, stepped back into the cage after making his debut at the last Spartyka card in April to face Zack Taylor. Even though the eyeball test showed Minor being the more athletic and physically imposing of the two fighters, Taylor was proof of not to judge a book by its cover. The two young amateurs went all three rounds in a very closely contested bout. Minor seemed to have the better striking exchanges, while Taylor managed to find openings and shoot for takedowns. A 29-28 decision for either could have been justified, and in the end Minor got the win via split decision (28-29, 30-27, 29-28). One of the most well rounded fights of the night, from a technical standpoint, was a short affair between Kristopher Curtis and Eric Barber. Though it only lasted 1:48, these two competitors compressed about 15 minutes of fighting into it. Both came out aggressively, with both landing some good strikes at distance. A sequence where Curtis slammed Barber to the ground and immediately was forced to defend a guillotine choke happened back to back. In the end, Curtis was able to pressure Barber to the fence, landed a big left hand followed by a knee to the head from the clinch. Curtis was ready to continue throwing combinations when the fight was stopped. MMA Institute’s Zak Draego put on an impressive amateur MMA debut against Team XCWT’s Pierre Ba. Either Draego is very big for a Featherweight or Ba is undersized at the weight class. Either way the size difference was pretty evident in this matchup and Draego used it to his full advantage. Both striking from the outside and smothering Ba against the fence. By the end of the third round, Ba was noticeably exhausted, shooting for desperation single leg attempts and laboring to get up as Draego refused to go to the ground with him. With 40 seconds left in the last round, Draego engaged while Ba was on the mat and finished the fight via TKO with strikes from the top position. Gustavo Machado BJJ’s Andres Encinales showed off why he’s so dangerous on the ground when he took on Impact Martial Art’s Rob Shermer. Encinales ran through a body kick early as he rushed in to clinch up with Shermer. He landed a couple of knees to the body and took Shermer down landing in half guard. In a beautiful transition, as Encinales was passing to full mount, Shermer turned away and Encinales used the same leg he was using to pass to set his first hook in and took Shermer’s back. From there, he was able to lock in a rear naked choke that forced Shermer to tap. The fight between East Wind Academy’s Edis Starnes and MMA Institute’s Luke Hunsaker for the interim Bantamweight title was a wild and crazy affair. Early in the fight Hunsaker dropped Starnes with a counter left hook that caught Starnes mid-flight as he attempted a leaping right hook of some sort. Hunsaker pounced, got Starnes’ back, and attempted to transition from rear naked choke, to short choke, to neck crank. Starnes was able to get out and land huge blows while standing over Hunsaker who was still on his back. Back on the feet, after several striking exchanges, it was this time Starnes who dropped Hunsaker with an overhand right. He stayed on top of Hunsaker throwing a multitude of strikes that while not all necessarily landing, impeded Hunsaker from advancing his position and forced referee Stacy Dolby to stop the fight. Team XCWT’s Ryan Parker took on SFL fan favorite “Sergeant Major” Clark Wright, the 57 year-old veteran who seems to defy time and expectations every time he gets in the cage. This was Wright’s sixth amateur fight dating back to 2013 and his fifth under the Spartyka banner. Parker, who is known for his wrestling, was surprised when Wright, 34 years his elder, shot in for a high-crotch/single leg takedown. Wright almost had it, but Parker used his incredibly long arms to reverse Wright’s position, mount, and ground and pound his way to a quick finish and the Spartyka Light Heavyweight belt. The main event had the current Spartyka Welterweight and Middleweight champ, Mitch Aguiar, fighting out of Gustavo Machado BJJ, putting his 185 lb. belt on the line against Outfox MMA’s Kedrick Harris. Harris, was supposed to face Ryan Nugent in his second fight coming down from Light Heavyweight and after Nugent had to pull out, Harris accepted to fight the undefeated champ on short notice. Both fighters came out strong early, finding success in space and in the short, dirty boxing range. The big shift in momentum came half way through the first round as both fighters leapt into simultaneous flying knee attempts. Harris was able to push Aguiar off balance, and proceeded to attack standing over him first, then landing elbows from full guard that cut Aguiar’s forehead, and later from behind him as Aguiar turtled up to avoid further damage. Once back in space, and with little time left in the round, referee Todd McGovern called time to have the cageside doctor check Aguiar’s cut as it was possibly bleeding into his left eye. After getting it cleared they continued until the bell rang. It only took nine seconds into the second round for Harris to find the finish. A jab, jab, right cross combination landed flush and knocked Aguiar out. With this only being Harris’ fifth amateur fight and second at this weight class, it was an amazing performance overall. It couldn't have come together at a better time, against such a tough opponent. Spartyka Fight League returns to the Ted Constant Center in Norfolk on August 6h. 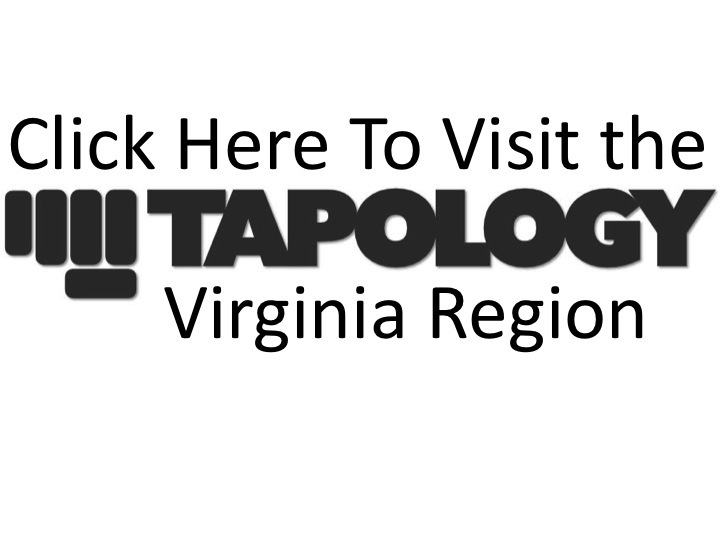 For full results, you can visit the SFL 24 Tapology event page.